Professional research experience also appears to impact an author’s decision to publish OA – researchers with five or more years experience are significantly more likely to have published an OA article than those with less (83% versus 17%). Geographical location may also play a part, with half of all OA authors coming from the US, the UK, China, Germany, or Australia – with the exception of China, all countries where there has been pro-OA lobbying for some time. OA is not currently a significant factor in where authors choose to publish – in fact it doesn’t even make the Top 10. Instead, authors cite factors such as subject area/scope of the journal, impact factor (IF), society affiliation, international authorship/readership, and production quality (e.g., editing, quality of figures, etc. as their main influences. 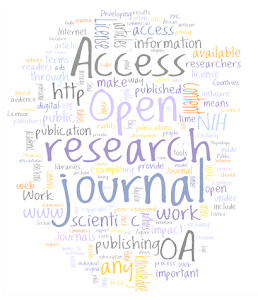 In response to the question, “I would publish in an OA journal if . . .,” respondents cited quality and profile issues as their main requirements (IF, rigorous peer review process, high production values, well-respected editorial board, well-regarded by peers), while value-added services such as speed of publication and article-level metrics are currently considered much less important. Conversely, the main reasons for not publishing in an OA journal are around concerns about profile, quality, and lack of funding, which is cited by 44% as a factor. Funding seems to be a key issue, with only 18% of authors receiving full funding for article publication. Additionally, young researchers are nearly twice as likely not to have funding as their older colleagues; somewhat counter-intuitively, however, they don’t see this as any more of a barrier to publishing OA. 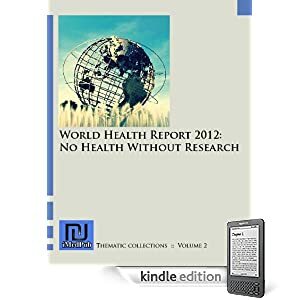 Presumably OA will rapidly move up the ranks as a factor in where researchers choose to publish as funder mandates start to kick in – the introduction of the RCUK mandate on April 1, 2013, and corresponding increase in APC funding for articles arising from UK funded research, should be a good indicator. Overall, the results are encouraging for the future of gold OA publishing. A continuing commitment on the part of publishers and societies to publish high quality, high IF journals through a strong and sustainable peer review process looks likely to attract increasing numbers of authors to publish in OA journals. And there are also opportunities to launch new high-quality OA journals in disciplines where these don’t currently exist – as long as the funding is available to support them. But there’s the rub. If gold OA is to succeed as a means of providing immediate public access to research articles, then authors across all disciplines need better access to APC funding. While the UK government has already committed to finding some additional funds for APCs following publication of the Finch Group report, it is still not clear how much will be available. And in Brussels, there seems to be little likelihood of much additional funding for gold OA in the European Commission’s Horizon 2020 budget. Let’s hope that, in order to achieve the “significant social and economic benefits” of making research outputs freely available that the RCUK hopes for, they and other funding bodies will be prepared to put their money where their mouth is.